Maharashtra Chief Minister Devendra Fadnavis, who was in Goa to pay tribute to Parrikar and attend the last rites, said Parrikar displayed “tremendous humility and simplicity”. The state BJP on Monday held a prayer meeting to mourn the death of Goa chief minister Manohar Parrikar and recalled his work in building the party and reforms as the country’s defence minister. Chief Minister Devendra Fadnavis, who was in Goa to pay tribute to Parrikar and attend the last rites, said Parrikar displayed “tremendous humility and simplicity”. “Always dedicated to his work, he lived for serving the people, making a distinction between politics for people and power politics,” he said. 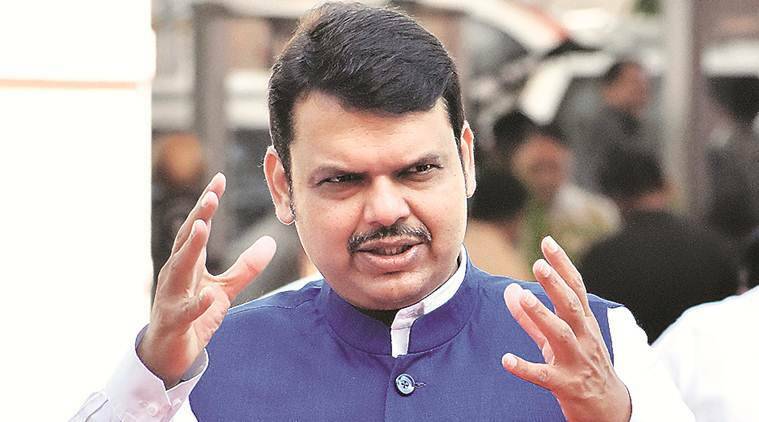 Fadnavis also said the deceased BJP leader was an “excellent academician” who worked till his last breath and allowed the doors of his home to be “open to one and all”. Parrikar would always live in the hearts of the people, he added. The Maharashtra chief minister was in Goa with leaders such as Union ministers Nitin Gadkari and Prakash Javadekar. In the meeting held by the state BJP, speakers touched on Parrikar’s “simplicity” and recalled his visits to Maharashtra. Senior BJP leader Madhav Bhandari praised Parrikar’s ability to “lead the life of an ordinary citizen”. “…he would always fly economy class. He never used his high offices for luxury even if it was entitled to him,” he said. “Parrikar transformed Goa into a modern state by promoting tourism and the IT sector, and still he maintained the essence of the state. As defence minister, he solved long-pending problems like ‘One Rank, One Pension’ and expedited defence procurement in a transparent manner. The first surgical strike on terrorist camps across the border was conducted during his tenure,” added Bhandari. BJP MLA Anil Bonde termed Parrikar a “national hero, an excellent politician and beloved leader”. “Manohar Parrikar followed the path of simple living and high thinking throughout his life. He was able to work immensely for his nation, state and the people,” he said. An old party colleague of the deceased Goa chief minister, Nitin Sapre, spoke of how Parrikar would often walk to the bank and stand in queue for his turn. “His own classmate was a banker and yet he never misused his connection to get his work done,” said Sapre.